Most principals or vice-principals who want to meet with me, simply send me a text or an email to set up a time. There are the rare occasions that they set up an appointment through my Executive Assistant in the office. Really there are three topics that they usually go through her for a meeting: 1) they want to let me know they are pregnant 2) they want to let me know they are retiring and 3) they want to let me know they are applying for a job outside the district. I appreciate how difficult all three of these can be to discuss with your boss. Of course pregnancies are wonderful events to celebrate and so are retirements. And then there are the third group. I appreciate how nervous people are to discuss applying for a job somewhere else. I know there was a mindset held in school districts, like in many other professions, that loyalty to a school district was a paramount value. I have always had a different view of loyalty in education. It is for that reason, that to the surprise of almost everyone who comes to my office to talk about an opportunity elsewhere I treat it like a celebration. While I am very competitive, and want to have the best possible staff, I also want to work in and model an organization that is encouraging of risk-taking and pursuing new challenges. When someone is applying out and is successful in another district, the message to me is that we are doing something right. When looking out, school districts want to attract candidates from good schools and good school districts. It is a badge of honour for our district when our teachers and administrators are being recruited from other districts. I also think in education, that while we divide up into public and independent schools, and organize our schools into districts, when it comes to the kids who attend, they truly all belong to all of us. We want all kids to have great teachers, principals and schools. And of course, movement is healthy, and new people bring new energy. Those leaving bring new energy to their new location, and that leaves opportunities for new people to take their positions, also bringing new excitement and new ideas. I was reviewing the appointments we have made over my last nine years in West Vancouver into leadership positions. About 80% of the time we have hired from within our system, and about 20% have been candidates from outside the system. I think a generation ago educational leaders were far more loyal to where they worked. Modern loyalty in education is about being loyal to people, and being loyal to the work but it recognizes that sometimes you have to leave to grow. In my own experience as a manager on the higher ed side, I always expected excellent work from those who were on my team, but, given that they were, by and large, early-to-mid career, hoped that their present role would not be their final role. Part of my job as manager was to know their growth objectives and give space for honesty in that discussion ahead of ‘the meeting’ where I’m asked to be a reference. If we can normalize those kinds of conversations about future directions, leaders can sometimes make assignments that are helpful in exploring those directions within an existing role or suggestions for PD that make more sense. As a result of this normalization, the member of my team becomes more engaged in their work as they see an effort being made to align it with future directions, and I think this deepens engagement in their core work as well – in professional work, it can sometimes be years between contemplating the next step, and actually taking it. As you say, loyalty to the task at hand becomes higher, and loyalty to the organization, perhaps as an ambassador for the organization in their new role, also deepens. Thanks Stephen – I really like your notion of normalizing the conversation. And the other piece of the loyalty is that after they leave they are still exceptionally loyal – saying great things about their former place of employment which only helps to attract more great people to come work here. It is interesting how, for example, when I compare my career in education to my father’s – he was far more loyal to place than I am but I think I have far greater loyalty to people – not sure if it is generational but definitely my experience. I appreciate the fresh perspective here… Love the idea that we are really all responsible for loyalty to eachother. Well done! Thank you. It is something I think more and more about. I remember how competitive I felt even within my own school when I started as a teacher and how I wanted my students to perform at higher levels than those in other classes. This loyalty then moved to the school and district level and now I really have than sense that although we are employed locally we have far more wide reaching responsibility. I haven’t thought about this in ages – when I first started in the classroom I remember really hoping for approval from my colleagues – it meant so much to me to have them affirm the work I was doing. Now I think less about what others think, and more about what the students really need… As I have moved from the classroom into learning support I have a better “big picture” view of the school in general, but also a better student-centered focus. I will have to work some of these thoughts into a future blog post! A wonderful perspective, thank you. Just because someone applies out doesn’t mean they can’t come back! I’ve valued my own “tour of the province” in my career! I’m loyal to make my school the best learning community it can be! I like this, Chris. I feel the same way. I think what you are describing here is a true manifestation of our immigrant population leaving everything they are familiar with behind and moving to find/build the ideal world, and when they find their true place, their dedication is not to a point on the map, but to the global welfare. However, global thinking does not always require the move, it is not place-based, it develops through a strong and unbiased will and dedication to people. And those environments that promote and encourage our growing interconnectedness in this world through their actions, do a great service to humanity. As for smaller or larger organizations and districts, I would not focus on the “leaving”, but I would rather investigate the reasons behind leaving. Why do people become disengaged with their respective roles, is this happening as a result of some forms of malaise they feel, and an urge to move to places that help them reach their full potential? Or are they moving for totally different reasons: commute, financial, status-related or else? People have so many different reasons for leaving. I think “loyalty” in the post-modern society leads to deeper and more meaningful relationships, and brings harmony and stability to the life of our communities, and our many children who are already being impacted by our fast-changing world. In some districts, the goal might be focused on the latest technology for each child, but in many others, children need consistency and attachment to caring people around them in order to grow peacefully. So, I would go one step further, as I believe the definition of “post-modern loyalty” differs from the “modern loyalty”, and it should be defined in each community differently and based on their respective needs. 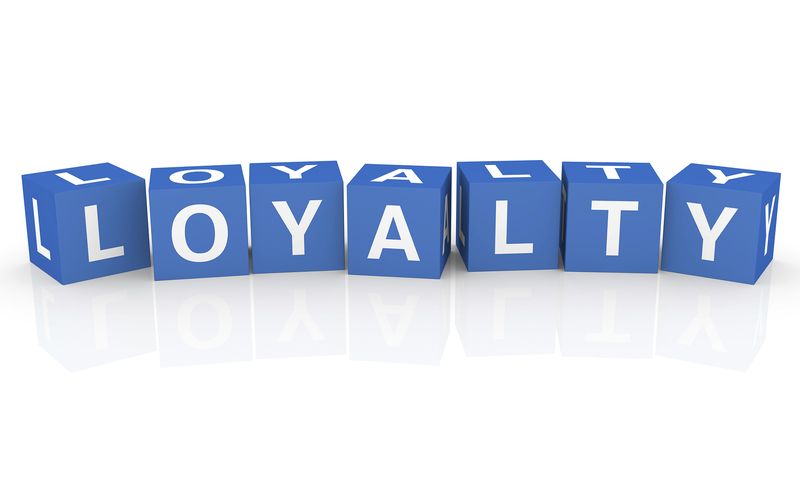 Therefore, when it comes to “loyalty”, one size does not fit all…Thank you for your post. Well said. Some of the best professional development or growth has come from moving schools or districts. As a bonus, it expands our profession network and thus we have greater support when we need it.